Charlotte has continued to struggle, with the move to bring Jeremy Lamb off the bench doing very little to help their W-L mark. They are now six games under .500 and have been totally underperforming since the All-Star break. It doesn’t seem that a playoff appearance is in the cards. Houston, on the other hand, picked up a thrilling win over Dallas yesterday in a Texas road contest, and are looking for win #42 tonight. This is a group led by James Harden, who is scoring more points per game than anybody has in the past 13 years. This has not exactly been a bad season for Charlotte, despite being six games under .500. 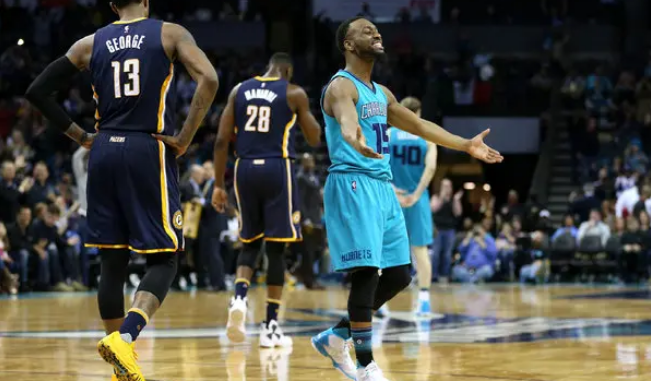 It is hard to say exactly what their expectations were, given that besides Kemba Walker, they do not have any consistent players to put the ball in the hoop. Marvin Williams can knock down the three-ball, while Jeremy Lamb is able to score in bursts at times. Their supposed “sixth man” leading scorer, Malik Monk, is not even a part of the rotation anymore and does not seem to be getting the support he needs from his head coach. Cody Zeller has been in and out due to injuries. Miles Bridges has shown flashes, but he has not proved to be a difference-making player for the Hornets. It would be a shame to see them miss the playoffs not just because of Kemba’s expiring contract, but the fact that Tony Parker is nearing the end of his career, it would stink to see him out of the postseason. He didn’t miss them one single time during his time in San Antonio. We cannot talk about Houston without gushing about James Harden. He had the third-longest 30+ points streak in the history of the league and has been scoring 36 points per game on the year—the highest total for anybody since Kobe averaged 35.4 during the 05-06 season. There are three other guys on the team scoring between 15-17 points per game, and that has been a huge key. Players stepping up and getting baskets at the precise moment that the team really has to have them. This roster has been structured very well, with last year’s addition of Gerald Green still paying dividends in the form of endless three balls. The defense of PJ Tucker on much bigger guys continues to enamor us, while Chris Paul has regularly been cooking defenders since his return. Clint Capela has gone back to doing his thing in the paint on both ends since coming back from his injury. Another W is incoming for the Houston Rockets, who have really turned their season around after a poor start. This is a team with plenty of star power, and the more games they win now, the more home games they will have in the postseason. Home court will matter in the West.